It started as one of those tables with the gold strip on it. 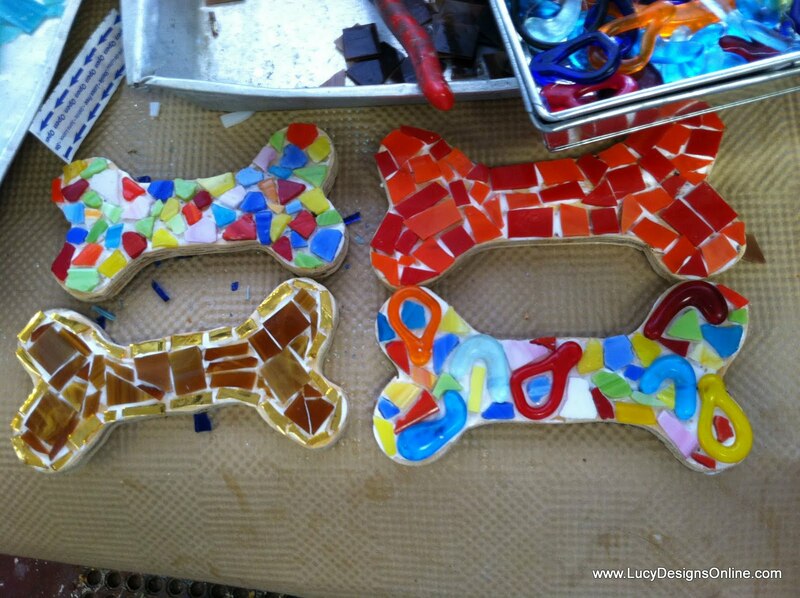 I made a few of these mosaic dog bones while I had all my materials out. pic haven't been grouted yet. great with the gray and white. I also added these gold painted wood buttons that are glued AND nailed into place. 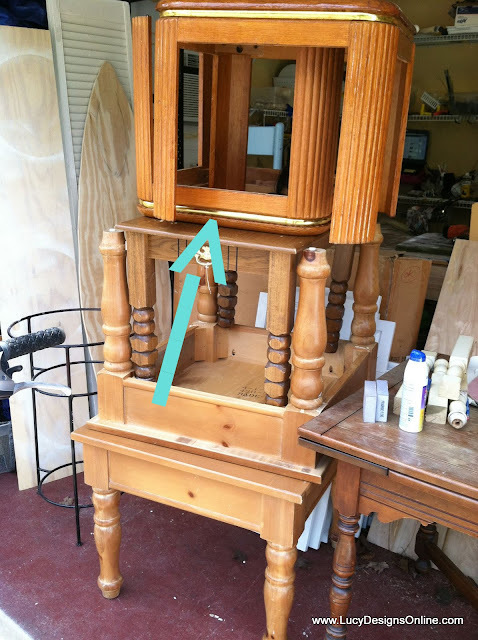 Yes, I pre-drilled a tiny hole in each one so I could tap a nail in. Thanks for taking a look at my latest dog bed. You are so imaginative & creative! I could have stared at that thing for a week & still just see an 80's style end table! I've been reading your blog like mad since I discovered it a few days ago & I'm starting to view my "junk" as endless possibilities! (Of course my husband is cringing at the thought of teaching me to use power tools & the expense of supplies!) Lol! That's a cute dog bed! You are so resourceful and really creative. You should also treat your pet to the dog boarding in Long Island at least once a month so he'll be completely happy.